The BBC has announced its "most complete" coverage of the Winter Olympics so far. In addition to over 200 hours of coverage from the event in Sochi, Russia, on BBC Two and BBC Two HD, there will be over 650 hours of coverage on six HD streams via the BBC Connected Red Button and BBC Sport App for connected TVs. According to the BBC, a new technical approach to delivering live feeds across PC, tablet and mobile is being launched to accommodate the coverage, paving the way for the BBC to deliver detailed coverage of future news, sports and cultural events, such as the Commonwealth Games later this year. Clare Balding, Hazel Irvine and Jonathan Edwards will lead TV coverage of the action from Sochi, daily from around 7am to 8pm on BBC Two and BBC Two HD. Clare will also introduce the Opening and Closing Ceremonies while Hazel Irvine will lead the commentary. The Opening Ceremony, which will see more than 2,000 performers welcoming the world to Russia, will be live on BBC Two and BBC Two HD from 3.30pm on 7 February. The Closing Ceremony celebrating Sochi’s hosting of the Games as the Olympic flame is extinguished in the Fisht Stadium starts on BBC Two and BBC Two HD at 4pm on 23 February. Live coverage from Sochi between 7am and 8pm daily. Coverage starts 7th February at 3:30pm with the Opening Ceremony. Up to two streams with extra coverage. Six HD streams of coverage available. The service is available via Virgin TiVo and supported Sony & Samsung Freeview HD smart TVs. Live coverage via bbc.co.uk/sport on PC, tablet and mobile. Also available via current BBC Sport App. Coverage of the key events of the Winter Olympics, plus Team GB medal moments. 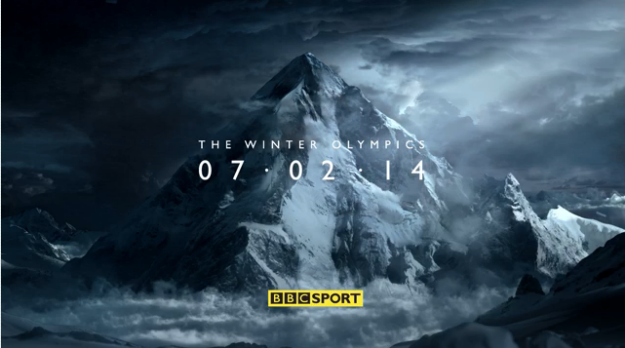 The BBC is launching a new live page for the Winter Olympics via bbc.co.uk/sport. Full live coverage will be available within the UK on PCs, tablets and mobiles, including live streams, full reports and results. Alternatively, audiences can use the existing BBC Sport app for mobile and tablet devices, available for free on iPhone, iPad, Android and Kindle Fire - no updates required. Up to two streams of content will be available via the Red Button. Currently one Red Button stream is available on Freeview, Freesat, Sky and Virgin. Where and when the second Red Button stream will be available is yet to be confirmed. Viewers with Virgin TiVo and supported Sony Freeview HD Smart TVs (click here for list of devices) will be able to access all six HD streams via the BBC's Connected Red Button service and a suitable unlimited broadband connection. All of Team GB’s medal moments will also be broadcast live on BBC Radio 5 live throughout the 17-day event, with Chris Mitchell, Eleanor Oldroyd and Will Perry presenting all the main events and races live across 5 live’s daytime schedules.